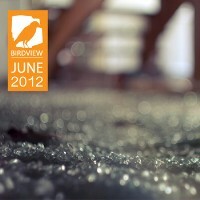 Birdview Crew is a musical project made up of some of the most creative underground beat makers and producers around. The collective promises to drop an album every month and for the month of June 2012, they’re delivering this instrumental ambient beauty. The compilation, aptly titled June, features 22 tracks. Showcasing a mix of dub, techno, ambient, electronica, fusion, hiphop and experimental; it’s one lively mix that’s perfect for the ears. An extensive collection like this is what you need if you feel like chilling over a barrage of instrumental beats on your down time. It featured the works of producers/beatmakers like Sanden Gonza, Snubluck, Afryx Sin Do, Nathree, King Cole, Sorg, Fonsi, Kapps, PlanetMalcolm, Maximoe, Cristian Mo, Migrations, Aether, X-33, Kashuks, Climbing Clouds, among a host of many others. It’s essentially a melting pot of sound. Two of my personal picks include opening track, Sitting Pretty from Burn Brighter as well as the Harry Ruana remix of Buffalo Springfield’s For What It’s Worth. Although some tracks are better than others, there are definitely those those that make the album shine. It might not be a completely solid compilation, yet, but it’ll make for great company still. It’s not hard to find several stand out tracks that you can enjoy. Take a listen and grab the download if you like what you hear. Of course, the best part is that it’s all for free.